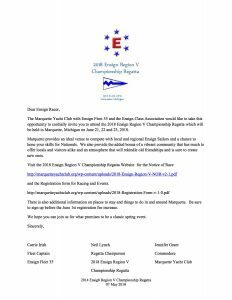 The Marquette Yacht Club with Ensign Fleet 35 and the Ensign Class Association would like to take this opportunity to cordially invite you to attend the 2018 Ensign Region V Championship Regatta which will be held in Marquette, Michigan on June 21, 22 and 23, 2018. 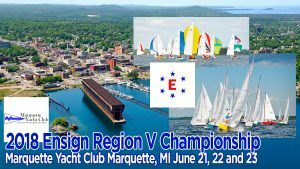 Marquette provides an ideal venue to compete with local and regional Ensign Sailors and a chance to hone your skills for Nationals. We also provide the added bonus of a vibrant community that has much to offer locals and visitors alike and an atmosphere that will rekindle old friendships and is sure to create new ones. 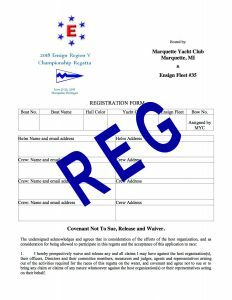 If you didn’t get your membership forms filled out tonight you will be able to find them on the Ensign Fleet section of the MYC website soon. You can print them off and mail them in. If you would like a hard copy mailed to you please let me know and we will get one in the mail to you soon. 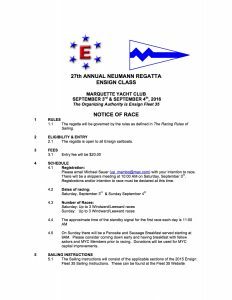 Sounds like Man o war will be racing this year and the Vear /Manson boat will be in the water as well! Nationals are in Ceaderville MI this year hope to have a great turn out of Fleet #35 boats going!! The fleet had a informational meeting on April 20th 2016. Fleet members reviewed the schedule and racing rules for the upcoming race season while enjoying some craft beer. 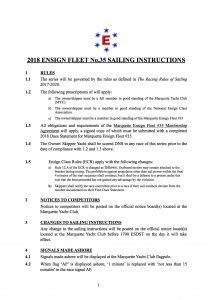 Please find the revised race rules HERE. 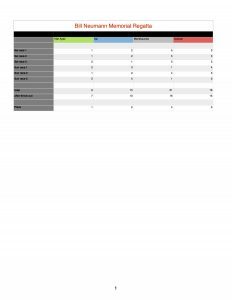 If you were not present and did not fill out a Fleet 35 Membership Form please make sure that you print one out and get it to the Fleet Commander: Richard Anderson, OR our the Fleet Treasurer Jen Grant. 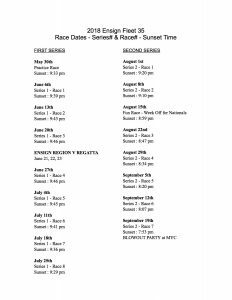 The race schedule has been uploaded to the MYC calendar which can be accessed by clicking on the Calendar icon at the top of this Page. For the first time in Fleet 35 history, a stubbornly slow ice melt delayed the season opener by two weeks. Weather cancellations added to the shortened calendar of nine races for the season. 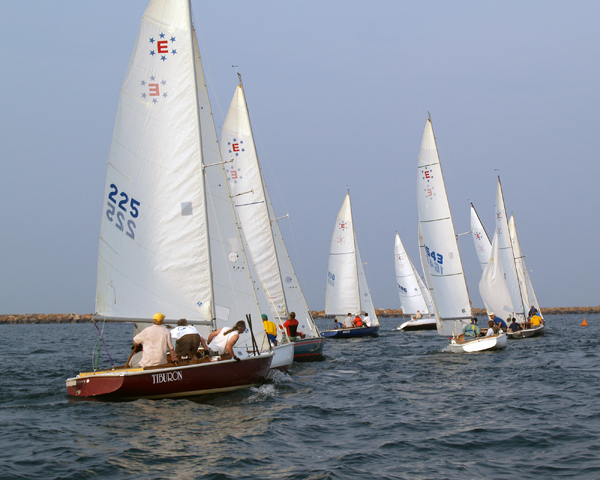 Many fleet members made up for the short season, by racing in the Regionals and Nationals. 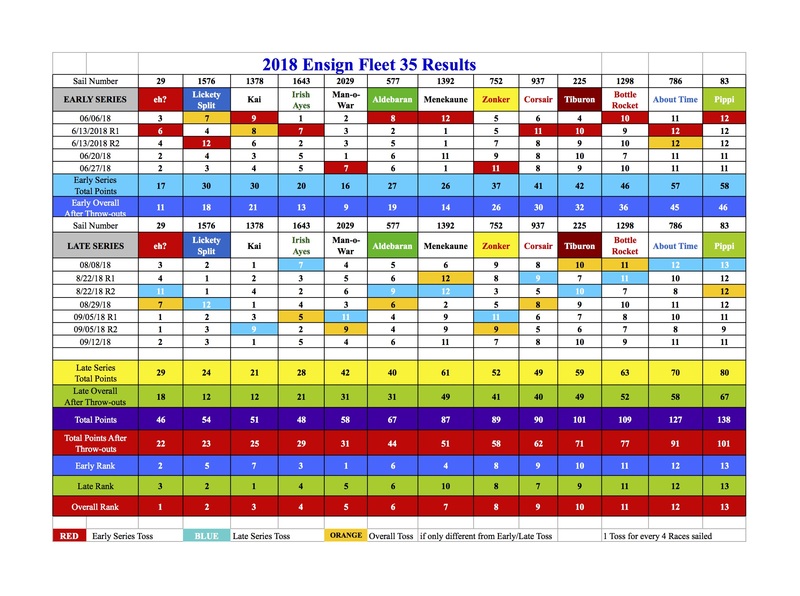 With just two races in the bag, Fleet 35 hosted the Ensign Region V Championship Regatta on June 26, 27 & 28 with nine boats competing, representing four fleets. Mike Derusha in Menekaune (#1392) took 1st place honors. 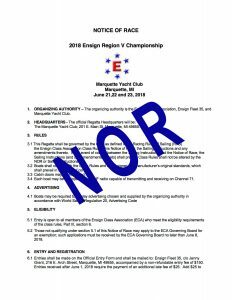 Neil Lynch, barely rested from chairing the 2012 Ensign Nationals stepped up to organize the event and Eric “Zeb” Seaborg headed up race committee. 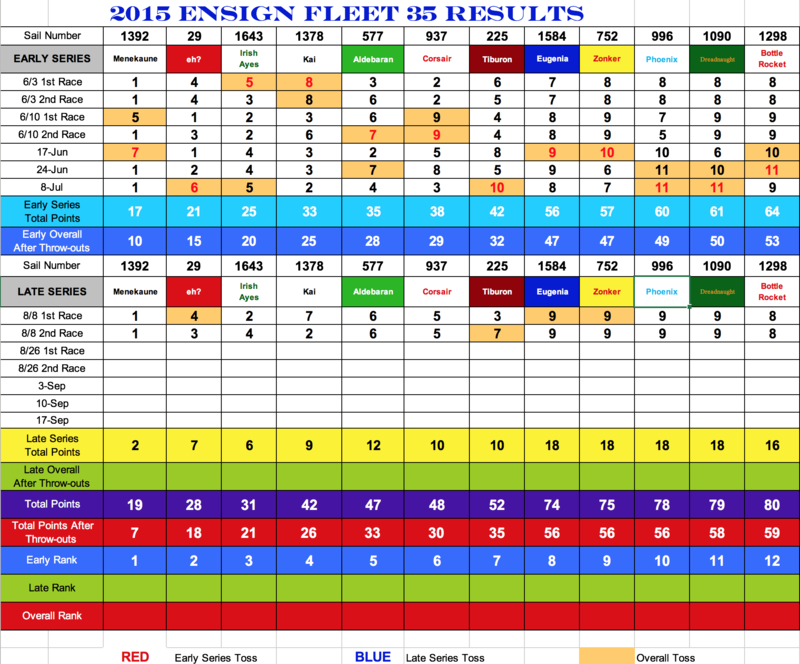 Fleet 35 sent seven competitors to the 2014 Ensign National Championship Regatta in Pentwater Michigan with three boats finishing in the top ten. Michael Twohey in Corsair (#937) took podium honors with a 3rd place overall finish, racing with his daughter Kirsten, son Andrew and Chad Lewis. Right behind him in 4th place was Jim Knape & Eva Kipper in Licktey Split ((#1576). Mike Derusha in Menekaune (#1392) eased into the top ten with a 9th place overall finish. 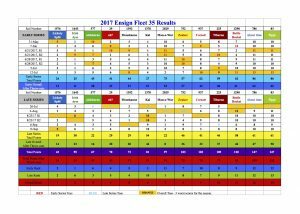 There was a tectonic shift in Fleet 35 overall season standings as the perennial Fleet 1st Place Overall winner Eric “Zeb” Seaborg in eh? (#29) ended the season in the unfamiliar 4th place position, making room for a new mix on the podium. Jim Knape & Eva Kipper in Licktey Split (#1576) took 1st place honors overall (after a multi year hiatus) with 11 points after throw-outs followed by Jen Grant in Kai (#1378) in 2nd place with 21 points after throw-outs and Neil Lynch in Irish Ayes (#1643) taking 3rd place with 23 points after throw-outs. 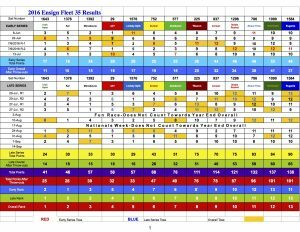 Three boats competed in the 2014 Bill Neumann Memorial Regatta with Mike Derusha in Menekaune (#1392) claiming 1st place over the five race series. 2nd place went to eh? (#29) and Corsair (#937) sailed into 3rd place. Ted Raymond in Dreadnought (#1090) sailed in light winds to take first place among Ensigns in the 2014 White Rocks Race. The Seaborg family took eh? 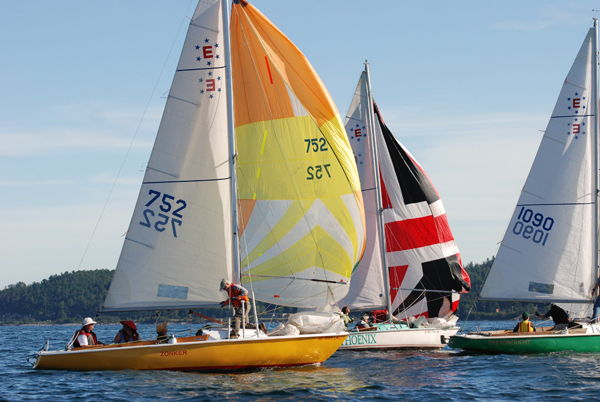 (#29) into 1st place during the 2014 Independence Day Ensign Class race followed by Kai (#1378) in 2nd place. 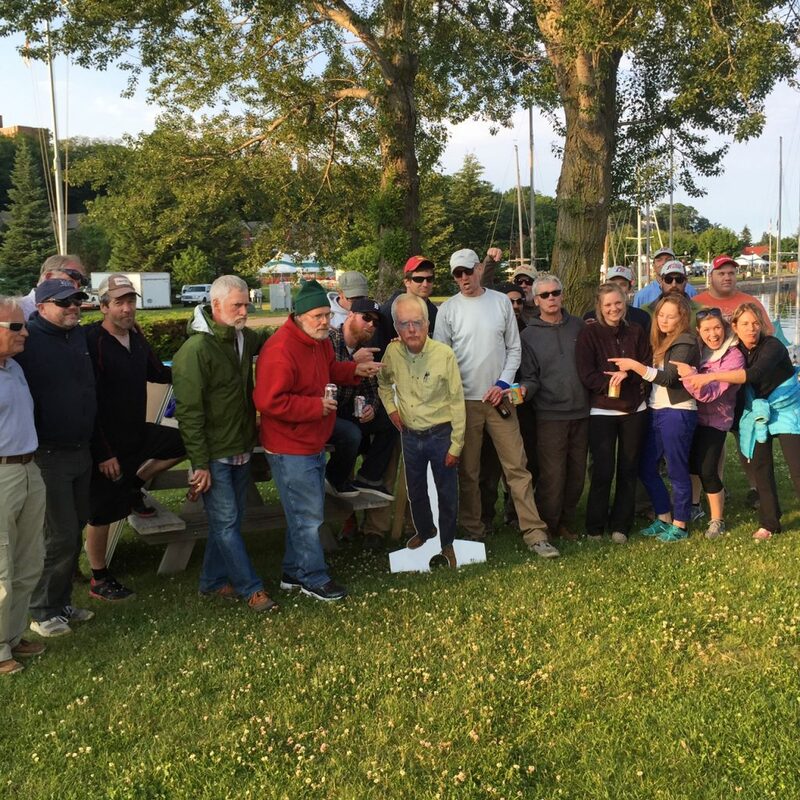 As always, we wish to extend our appreciation to Lori Frak for her weekly commitment as Race Committee Chair and to her husband Bob as well as Jim Knappe for their volunteer efforts to maintain the race committee boat. Our Fleet and the Marquette Yacht Club mourned the unexpected passing of member Andrew Ziverts, who contributed many volunteer hours and crewed often on Dreadnought. Fleet 35 is proud to be the hub of sailing sports in the Marquette region operating out of an ideal downtown harbor location at the Marquette Yacht Club (MYC) which is also home to the Marquette Junior Yacht Club — sponsors of youth and adult sailing classes and two youth Ensigns racing each Wednesday night. MYC is also home to the Northern Michigan University Sailing Club and Rowing Club. 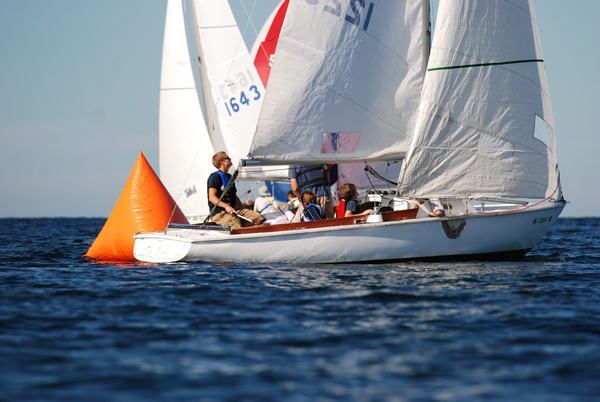 Our appreciation goes out to Chad Lewis, owner of Ensign Spars for his vision and long-term encouragement that has helped build momentum for sailboat racing on the south shores of Lake Superior. The fleet enjoyed a week off from competitive racing and hosted the Annual Mayor’s Cup Race. Marquette’s Mayor, Michael Coyne, was one of the founding members of the Ensign One Design fleet here in Marquette. Mayor Coyne was represented by himself until he could arrive later in the evening. Despite being a fun race a competitive bout unfolded in light and variable winds. The ace was taken by Menekaune, skippered by Mike Derusha. Second place went to Kai, skippered by Wim MacDonald. Third going to Aldebaran, helmed by Michael Sauer.